Carpet and upholstery cleaning extra charge. With the dedication towards the best of services, we work towards making your party a time when even you as a host can enjoy without any worries about the house. 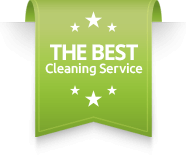 Each of our after party cleaning session takes nearly 4 hours of dedicated service. Parties always come with a baggage. With the fun, excitement and laughter of the happy moments with your loved ones, it brings the stress, the fatigue and the dullness of the after party cleaning. While looking forward to the amazing get together that you have been waiting for so long, the amount of pre party and post party preparation takes a toll on you, both mentally and physically. You must have noticed the host of the party already looking worn out even when the party has just started. This happens because of the never ending food preparations, rounds of cleaning, dusting, arranging and what not! But fret not; with our after party, and also pre party cleaning services, one can best enjoy the party, without any stress!